Around 300,000 gallbladder surgeries are done annually in the United States. The vast majority of the time, gallbladder surgery can be done with minimally invasive techniques. 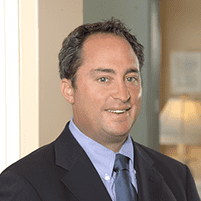 If your physician has recommended you have gallbladder surgery, book an appointment online or by phone with Dr. Matthew Lublin, MD, FACS, in Santa Monica, California, to learn more about this surgery and what your options may be. Why is gallbladder surgery necessary? There are several reasons Dr. Lublin may recommend a cholecystectomy, or gallbladder removal. Some of the most common are gallstones and cholecystitis, which is when your gallbladder becomes swollen and irritated. When your gallbladder is functioning properly, it releases bile, which helps break down fats in the small intestine. Sometimes there are blockages in the gallbladder, and the bile can’t get released, which causes the organ to swell and become inflamed and irritated. You may experience nausea, vomiting, and intense pain. Without treatment, you may develop an infection, or cholecystitis can become chronic. Gallstones are crystallized deposits that form in the gallbladder. Many people have gallstones but never know it because they have no symptoms. However, some people experience abdominal pain, fever, indigestion, and nausea. In those cases, surgery is necessary. What should I expect during gallbladder removal surgery? Nearly all of the cholecystectomies performed in the United States are done laparoscopically. A laparoscope is a tiny telescope with a camera attached. When performing laparoscopic surgery, Dr. Lublin makes small incisions, rather than one large incision, and inserts the laparoscope, which allows him to see your organs on a screen. Laparoscopic surgery is minimally invasive, which means you will likely recover faster and have less risk of infection. In a few cases, laparoscopic surgery is not the best option, and Dr. Lublin may recommend open surgery to take out your gallbladder. Dr. Lublin makes recommendations based on your personal situation and will thoroughly discuss risks and benefits with you prior to the procedure. If you have a laparoscopic cholecystectomy, you will be under general anesthesia. Dr. Lublin will make four small incisions — one for the laparoscope, and the other three to insert the instruments necessary to remove the gallbladder. How long should it take to recover following gallbladder removal surgery? If you have a laparoscopic procedure, your recovery time should be quite short, even though gallbladder removal is a major abdominal operation. You may be able to leave the hospital on the same day as the surgery, but you should expect a certain amount of postoperative pain. Walking increases your blood circulation and limits muscle soreness. You will most likely be back to your normal routine within a week. There are no special dietary requirements during recovery. If you believe you may need gallbladder removal surgery, book a consultation with Dr. Lublin to learn more about laparoscopic cholecystectomies and whether you may be a candidate.